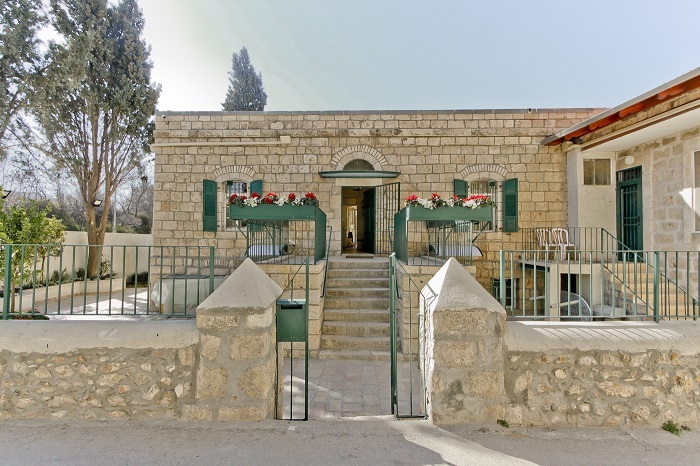 The Templer Inn Jerusalem is a small family-run Bed & Breakfast that was recently opened in a former 1890s Templer mansion in the German Colony of Jerusalem. The house of the inn was renovated and restored to modern 21st century standards while preserving the distinctive original style. The Templer Inn is a two story family house divided into four luxury authentic suites - two on the upper floor that are accessed from the original lobby, and two in the lower floor that are accessed directly from the garden. 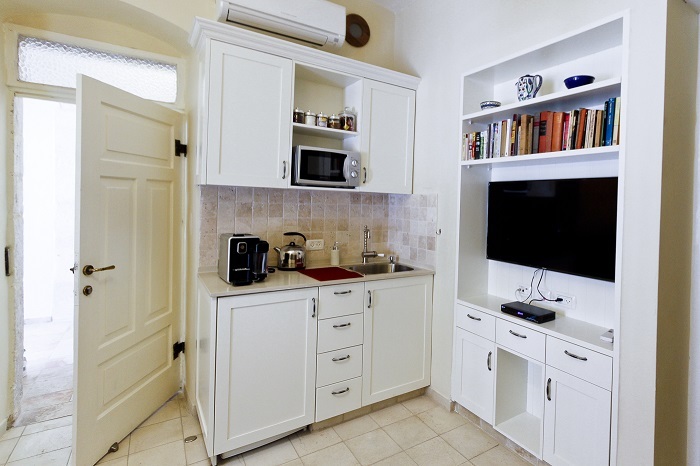 Each suite features separate bedrooms and living rooms with fully equipped kitchenettes including refrigerator, microwave, hot-plate and espresso machine. Satellite TV and WiFi are standard. 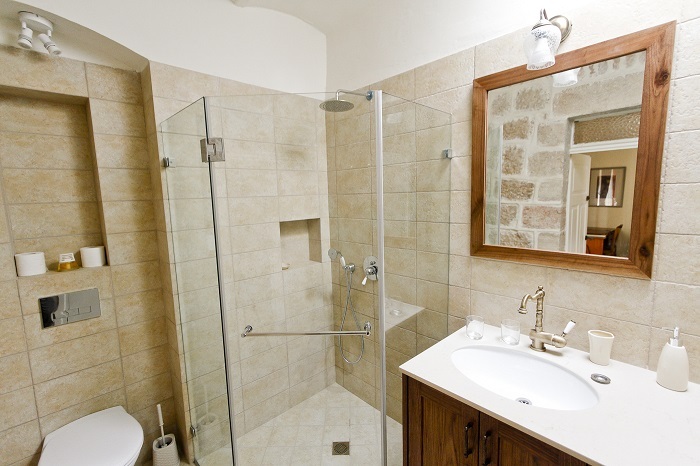 The en-suite bathrooms offer abundant towels, bathrobes, slippers, and quality bath gels and shampoos for each guest. The living room sofas can be made up as beds for families with children. The house was built around 1890 (the exact date is unknown) by the Templer shoemaker Christian Jakob Messerle. The Templers were a German Protestant sect which founded several settlements (colonies) in the Holy Land in the late 19th century, one of them in Jerusalem. They lived and worked there and made a significant contribution to the construction of Jerusalem. During the world wars, they were arrested because they were considered ‘enemy citizens’ and most of them were deported, leaving the colony empty. The properties were confiscated by the British authorities, and were later transferred to the ownership of the State of Israel (that eventually compensated Germany for them). The houses were rented, and later sold to the residents, from around the year 1950. This is where the history meets Alon’s family. The house was bought by Alon’s grandmother, Aliza. 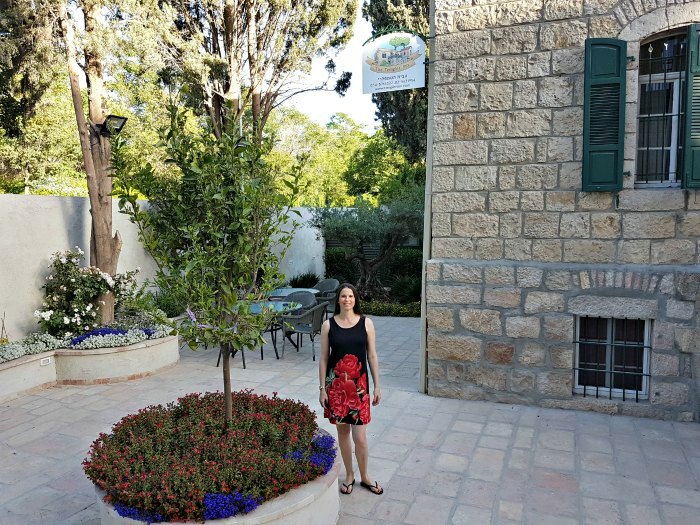 Aliza had one child, Yuval, who fought and was killed in the 1967 ‘Six Days War’ leaving a one-year baby, Alon, who spent his summers and weekends in this house. 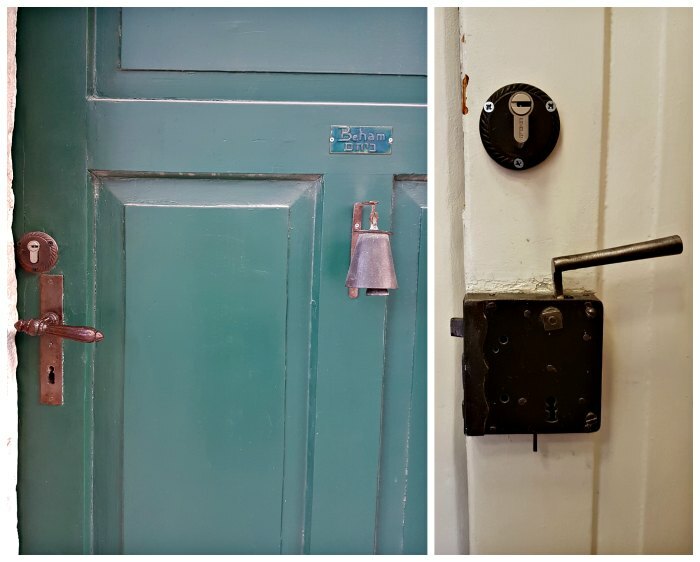 When Aliza died, Alon decided to restore the house and bring it back to its former glory, the way he remembered it as a child, while upgrading its facilities to 21st-cenutry standards. It took two years to restore the house, which was an architectural challenge. 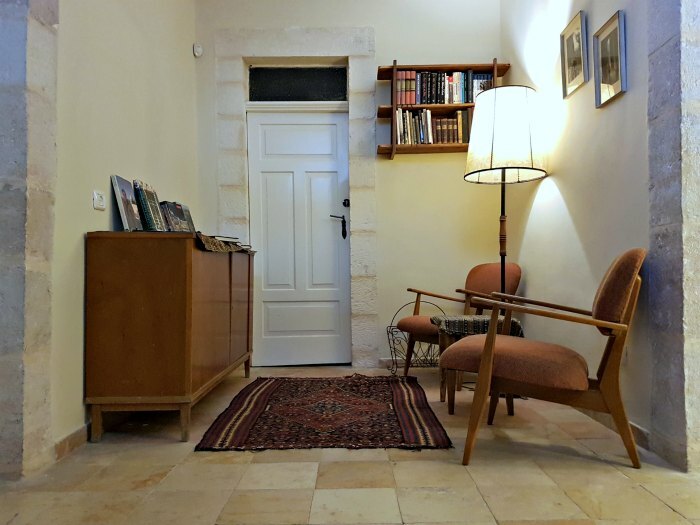 Alon made sure that the floor tiles were untouched, the original doors and windows preserved and restored, and each and every piece of furniture was refurbished and used. If you sit in the Templer Inn, it is likely that you are sitting on one of 50 year old chairs and the lamp giving you light is the original one. Even the grandmother’s books are here. It is a truly unique experience. Many of the pictures in the house are of the German Colony and the house’s history. The sign on the door says “Beham”, as this was Aliza Beham’s house. The most authentic suites are the lower level ones with arched ceilings, thick walls and tiles. One was built from scratch as it was the cistern of the house during Templer days. 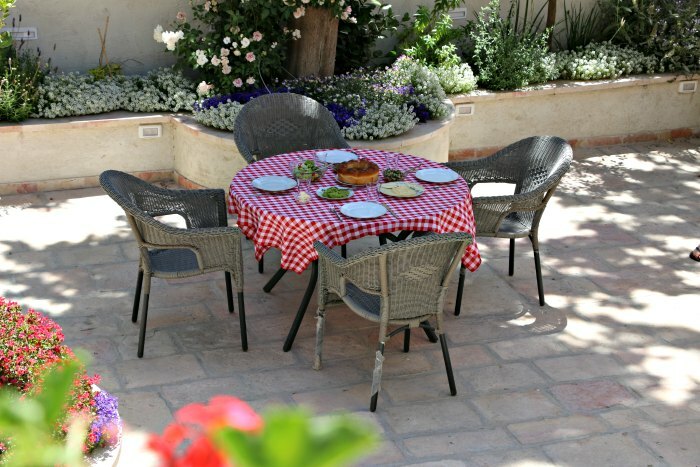 Staying at the inn includes breakfast, which is served in the groomed garden when weather permits. We sat there, drinking our coffee, surrounded by flowers and an old olive tree. The setting was so beautiful and the food so appealing, that pedestrians stopped to look, thinking this was a coffee shop. Breakfast is prepared by Alon’s wife who is a chef. It included fresh home-made challah bread, cheeses, Israeli salad, homemade vegetable tapas, eggs made to order and sweet pastry. This changes according to the season and the guests’ preferences, and gluten free and allergy-safe food can be served as needed. Everything was fresh and delicious, we enjoyed every bite, and also our children were happy with it. The house can also host private events of up to 70 people in the pleasant setting of the garden. The location of the inn is the picturesque German Colony neighborhood, across the street from the First Train Station. The German Colony is a lovely place for an interesting walk. You can stroll and look at the old houses; most of whom are also two story brick houses. It is worth visiting the Khan Theatre, the Nature Museum and the old Templer cemetery that is surrounded by a high brick wall. If it isn’t open, you can peek inside through a window in the door and see the tombstones and crosses. Across the street from the Templer Inn is the First Train Station, which is also one of the main entry points to the Train Track Park, a popular spot for joggers and cyclers (different types of bikes, including family bikes are available for rent). The old city is within walking distance, and there is a free shuttle from the First Train Station to the Western Wall. There is free on-street parking in front of the house on the basis of first comes first served. 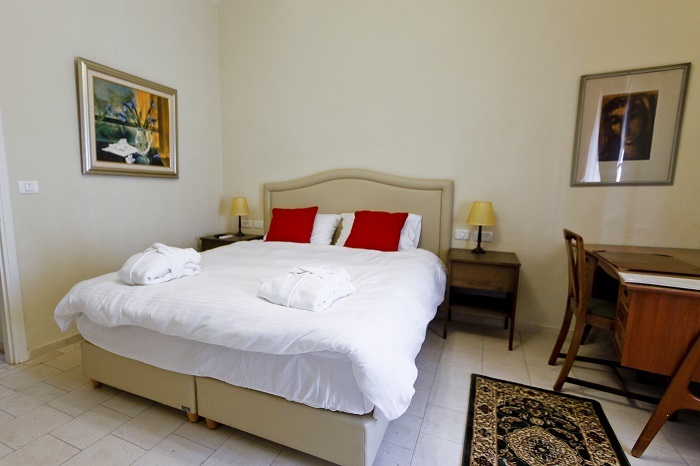 The nightly price is between NIS 800-1200, including breakfast. 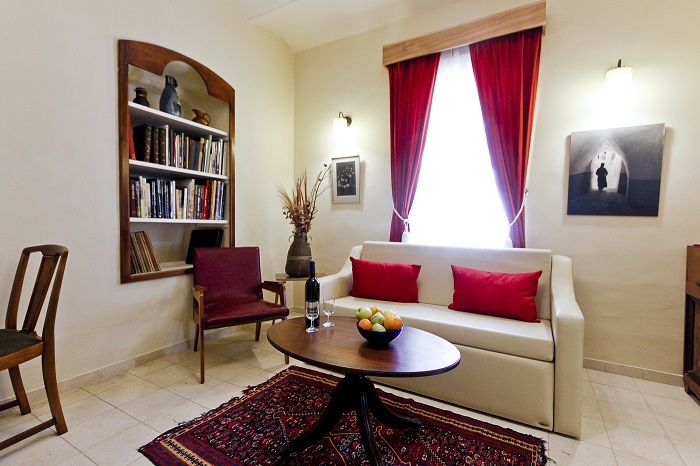 Not cheap but fair for a stay that provides an authentic Jerusalem-of-old experience, in a fully equipped suite. 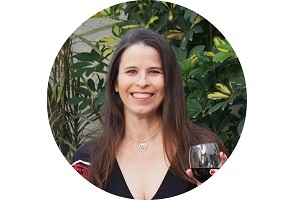 The writer was a guest of the inn.